This crisp overview of our plans and pricing should get you started! 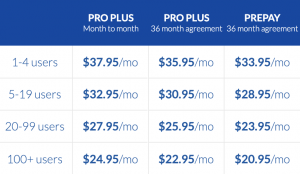 Nextiva’s three-tiered plans are broken down according to the number of users and type of features you may opt for. 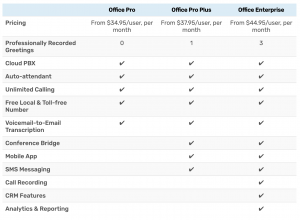 They range from Office Pro at $34.95/month and Office Pro Plus at $37.95/month to Office Enterprise at $44.95/month. Each of these is for a team of 1-4 users. Auto Attendant: With the instant automated greeting, let your callers choose the person or department they are trying to reach. Text Messaging: Manage teams and employees by sending and receiving business text messages through the Nextiva app. 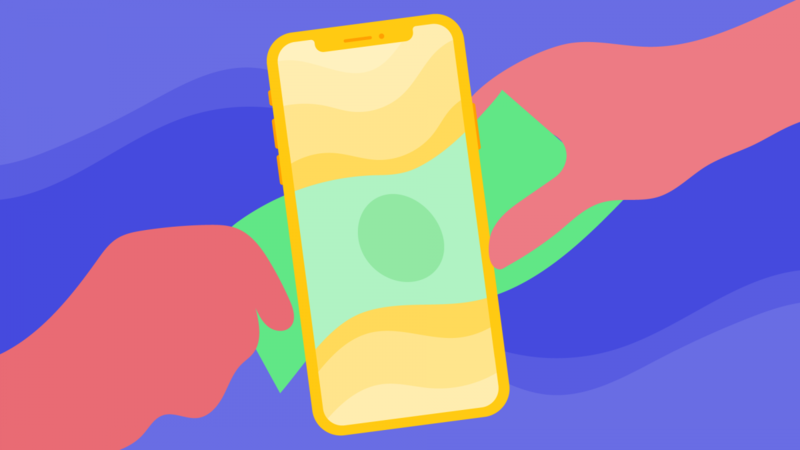 Nextiva App: Stay connected with your customers, employees, and partners directly from your mobile device – no matter where you are. Voicemail to Email: Access your voicemail messages from a single source, your email account, from anywhere your business takes you. Call Queuing: Organize employees, teams, and departments into queues so that callers can chat with the next available company representative in the selected queue. Unlimited Calling: No per-minute charges or limits when you place calls in the United States, Canada, and Puerto Rico. Number management: Customizing the use of numbers is a great feature, including assigning multiple numbers to one user. Hunt groups where an incoming call rings multiple handsets are also valuable in many situations. Conferencing: Often, it’s much easier to collaborate over the phone via a conference call compared to email ping-pong. That’s why call conferencing is a popular additional add-on for many VoIP users. Virtual extensions: Set up a forwarding number from your business VoIP phone system to redirect inbound calls to a fixed line or a mobile phone. Call recording: Saving recordings of calls can be very helpful from a customer service viewpoint, including training. Some businesses also record incoming and outgoing calls for regulatory purposes. Web integration: Want to make it easy for your customers to get in touch? Add a call-me function to your website which automatically generates an outbound call from your VoIP system. Call from any device: You need the flexibility to add users to a choice of hard and softphones, including mobile phone apps. Top reliability: Look for a partner that has an enterprise-grade platform with several points of presence and carrier-grade data centers with high up-time. Easy management: Manage users, numbers and call activity with a single click using an online portal. Cost effective: Between VoIP and landlines, VoIP is definitely more cost effective. Customer service: The best VoIP providers have an in-house customer support team and a toll-free line for easy phone support. At Nextiva, we take pride in providing the industry’s best customer service. Getting started with Nextiva is easy — head here and instantly schedule a demo with one of our experts. Want to hear directly from our customers? Check out the 2019 Nextiva reviews and ratings from verified users.